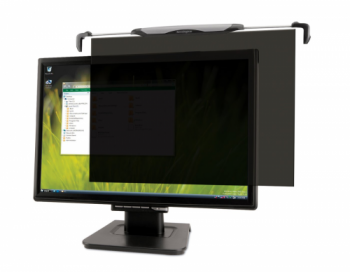 Protective films improve the longevity and image quality of flat panel displays. The top-mounted films cling to screens with different shapes -- without hassle, adhesive or cumbersome frames. The hard-coated and textured surface protects sensitive screens, reduces glare, and improves viewing contrast.